10 PowerPoint Tip Videos for just $49! 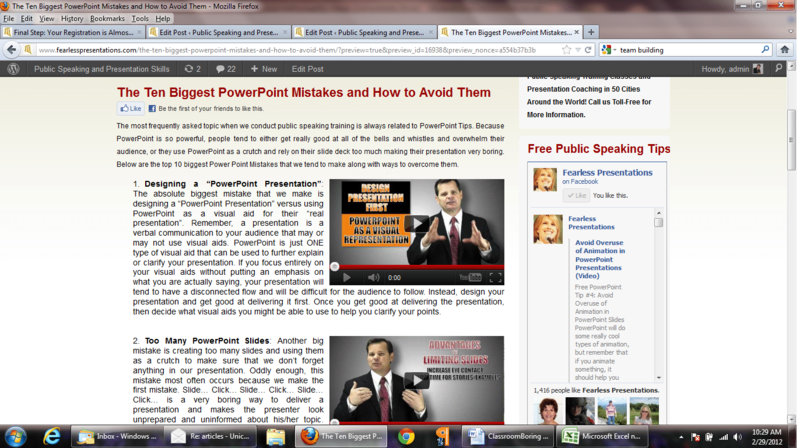 PowerPoint Training is, by-far, the absolute most requested topic from participants in our speaking courses. 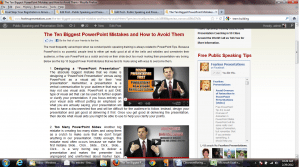 A few years ago, I wrote an article about The Ten Biggest Power Point Mistakes and how to avoid them, and our instruction team decided to turn that article into a short, on-line training course. This course is great as a stand-alone training program, but it works best after someone has been through one of our in-person Fearless Presentations courses that are offered in major cities all over the US, Canada, and Europe. Regardless of how you access the information, this course is a quick and easy way to learn how to do a PowerPoint Presentation. The course contains 10 Simple PowerPoint Tip Videos and containing the 10 Biggest PowerPoint Mistakes and How to Avoid Them as well as a written explanation of each mistake. Each of the videos last two to five minutes, and each offers a valuable tip that will help you design PowerPoint slides faster and better than ever before. This simple step-by-step outline can help your PowerPoint Slideshows become a visual aid and a help to your audience versus a crutch for helping you remember way too much content! 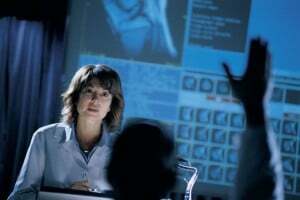 How many PowerPoint Slides should you have? What is the best way to organize your bullet points? How to use animation effectively. How to use charts and graphs. How to use pictures better. The biggest preparation mistake that will cause you to lose your train of thought almost 100% of the time. A simple bad habit that will cause you to lose all authority on the topic you are presenting and be seen as a weak presenter. 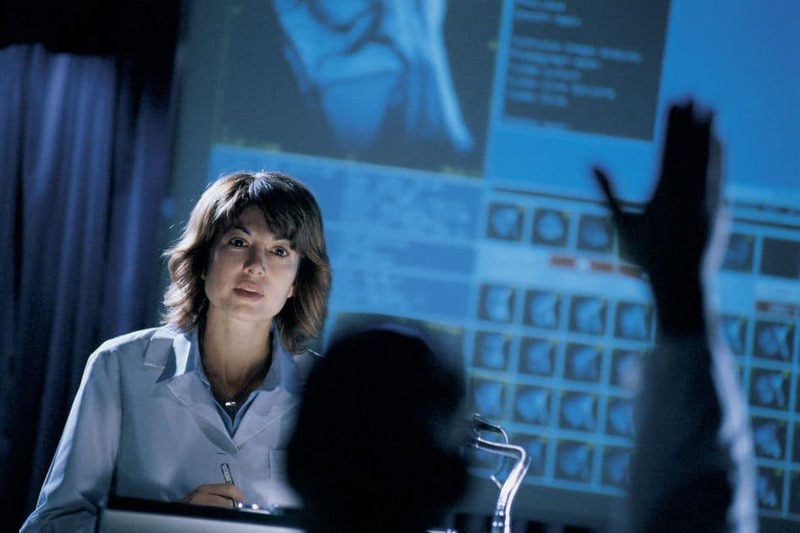 The second most-common habit that, when eliminated, will add energy and enthusiasm to your presentation. How to control the content of your presentation from start to finish. If you really want to learn How to Do a PowerPoint well, then you can't miss this course! The tuition for this course is just $49, and you can access the content of the workshop for up to one year from the time that you order. In addition, if you decide to attend the Fearless Presentations® class later, you'll receive a coupon code that will give you a $50 discount off the tuition, so in reality, you can access this course for -$1! That is better than FREE!